“Mosaico do Oceano de Ossonoba” – More info here. Museu Municipal de Faro, Faro. 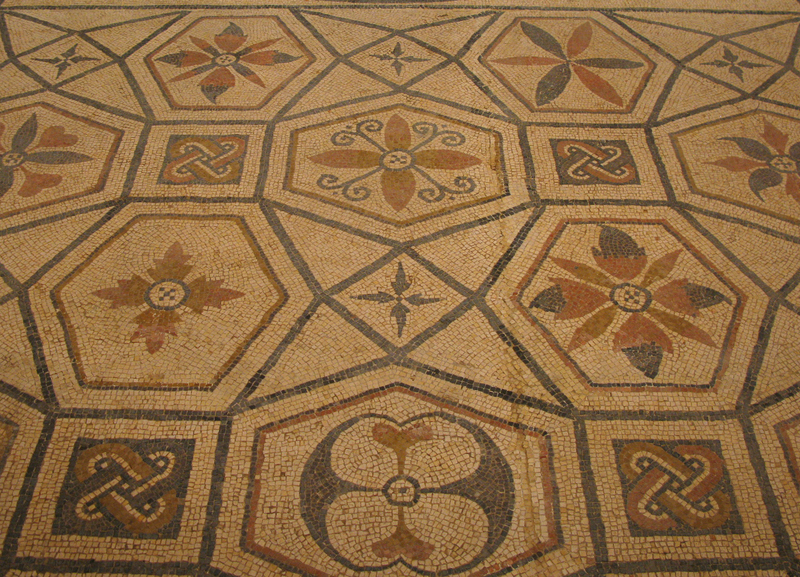 This roman mosaic was found in Faro, ancient Ossonoba. The pattern is simple, but its subtle distortions hint at the solution found to adapt it to the size of the room, now long lost.